Our High-Energy Fitness Boxing Classes Will Help You Get In Great Shape FAST! Train like a pro without taking a punch. 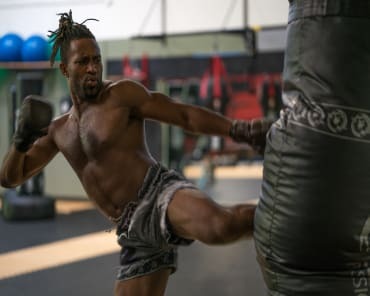 Our Fitness Boxing classes in Walnut Creek are the perfect way for men and women of all abilities to get in shape and learn the sweet science without any contact. We'll help you strike with speed and power while keeping your heart racing and your muscles moving from start to finish. There's no better way to get the most out of every workout. Join us at Combat Fitness and take on the TNT Boxing class today! Just fill out the short form on your screen to get started! How Does Our Fitness Boxing Program Work? 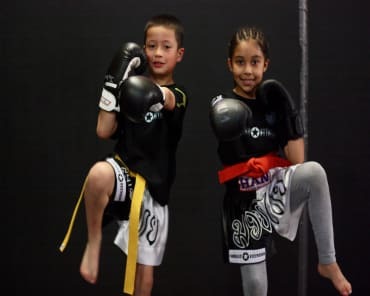 We start with the basics, helping you perfect your footwork and balance before challenging you with striking drills and heart-racing circuits. At Combat Fitness, we use the TNT Boxing program as the perfect intersection of fitness and self-defense. You'll learn the mechanics of a punch and how to strike without injuring yourself. But you'll also leave every class knowing you gave it your all. And Each Class Is Designed For Sustainable Success. No Fads. No Gimmicks. We're not here to help you drop 10 pounds in 5 days. There are no quick fix solutions with us. Instead, we rely on a dynamic system of training that keeps your body guessing week after week. In our Fitness Boxing program, you can focus all of your efforts on the skills and techniques Boxing has to offer. In no time, the physical results will follow. Using a mix of the heavy bag, speed bag, body weight training, and strength building exercises, you can take on a total-body workout that helps you enjoy success for years to come. Don't miss out on the most cutting-edge system in Walnut Creek. Our Fitness Boxing classes have something for everyone and we're ready to get started. Just fill out the short form your screen to learn more about Combat Fitness or to sign up right away!